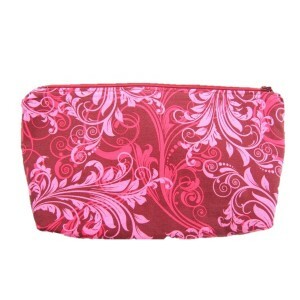 This beautiful Baroque style design pouch is made of 100% Cotton and is interfaced so it is nice and.. 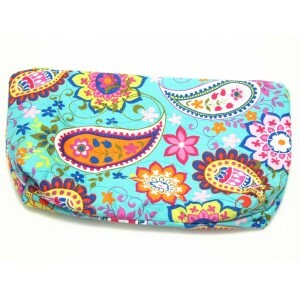 This bright blue and white polka dot pouch is made from 100% cotton, the interior is a nice medium b.. 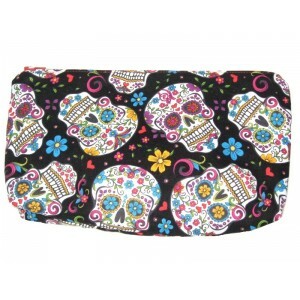 Quirky Pouch with Coloured Insect Design, the interior is bright Yellow, 100% cotton use.. 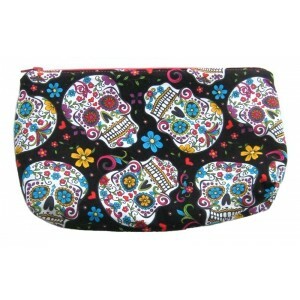 Quirky Pouch with Coloured Insect Design, 100% cotton used for exterior and interior and interfaced ..
Creepy, colourful, and fun pouch for cosmetics, phone, keys etc. 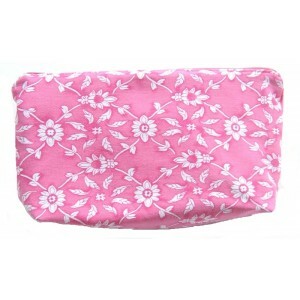 with a Bright Pink cotton lin.. 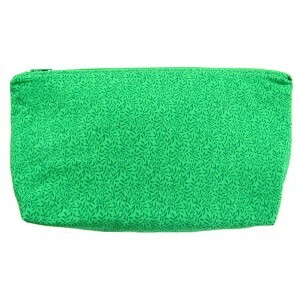 This green pouch has a delicate vine design, both the exterior and interior fabric are 100% cotton, .. 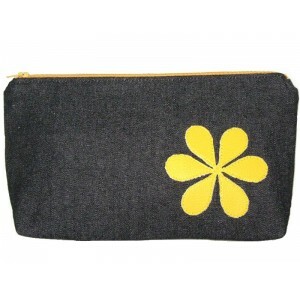 If you like it bright and orange this cotton pouch is sure to please, it is interfaced and is ..
Made from up-cycled jeans with a Flower and Trellis design, a soft and elegant pouch with soft inter.. 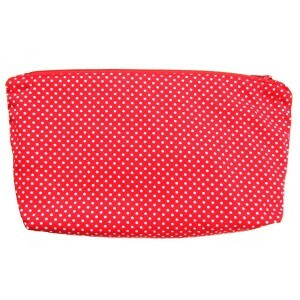 This bright red and white polka dot pouch is made from 100% cotton, the interior is a nice bright re.. 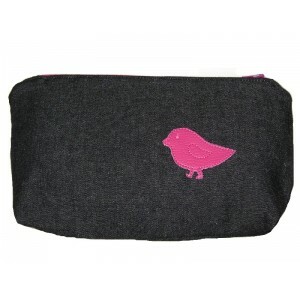 Distinctive Pouch in Charcoal Denim adorned with a sweet little birdy applique and interfaced so pou.. 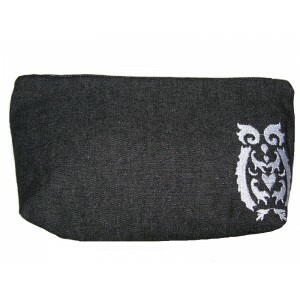 Stylish Charcoal Denim Pouch with brilliant yellow Flower applique, with a pale yellow/gold floral c..
A cosmetics pouch in lightweight charcoal Denim with embroidered owl motif, interior is white with b..